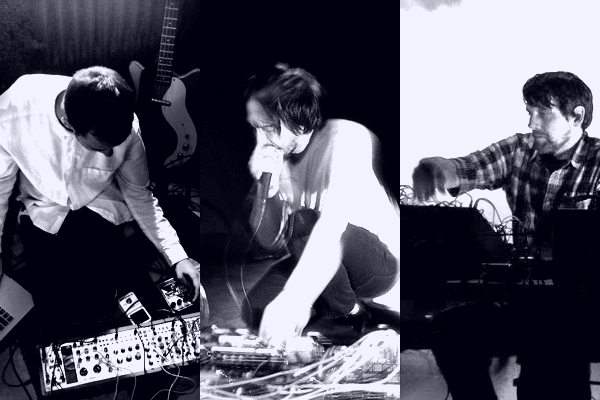 An evening of solo electronic and electroacoustic works with New York City’s Roarke Menzies and Portland’s Samson Stilwell making their Seattle debuts, along with Seattle’s own Norm Chambers. Roarke Menzies is a New York City-based artist and composer who uses his voice, mouth and body, along with audio hardware, software and field recordings, to create electronic and electroacoustic sound works. His music has been described by The New Yorker as “a layered electronic throb, coming and going, always enhancing but never overpowering.” Menzies is releasing his fourth solo recording, Breath’s Length, on his own Coup de Glotte label in June 2017. Samson Stilwell is a Portland, OR based sound artist and musician. He works with modular synthesizers, field recordings, and software to create electroacoustic compositions that explore the liminality or between spaces of language and sound, physicality and interiority. His first album, Signals, is out on Sounds et al (May 2017). Emerging from a love of early electronics, concrete/tape music, soundtracks and early new age, Norm Chambers creates worlds of sound that touch on many elements and moods, from spatially motivated ambient to aspects of minimalist composition and improvisation. Chambers utilizes an array of synthesizer equipment to achieve his sounds, in addition to field sounds and occasional acoustic elements.